Eric C. Leuthardt, M.D. is a neurosurgeon who is currently an associate professor with the Department of Neurological Surgery and the Department of Biomedical Engineering at Washington University in St. Louis. He is Director of the Center for Innovation in Neuroscience and Technology. His research has focused on neuroprosthetics – devices linked to the brain that may lead to cures for paralysis, allow patients to move artificial limbs, or restore other neurological functions. 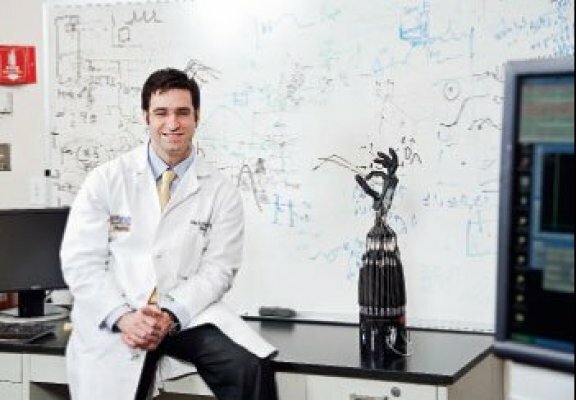 His work in the field of neuroprosthetics and neurosurgical devices has yielded him numerous accolades as a scientist, a neurosurgeon, and an inventor. 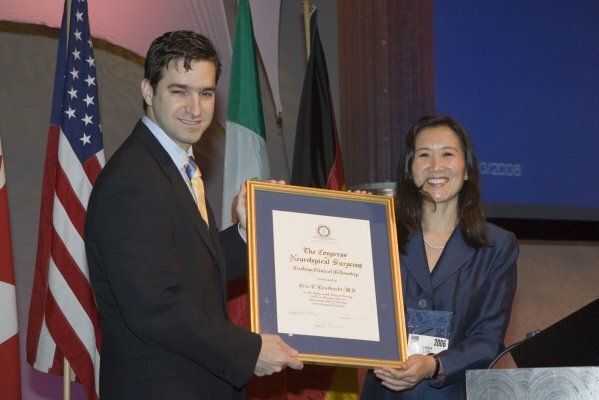 In 2004, for his work “A Brain-Computer Interface Using Electrocorticographic Signals in Humans” he was awarded the James O’Leary Prize for Outstanding Neuroscience Research at Washington University in St Louis. Recently, the Academy of Science in St Louis awarded him the Innovator Award for his research and translation efforts. He was given one of the highest acknowledgments in his field by being presented with the Annual Award of the American Academy of Neurological Surgery in Berlin, Germany. On a national level, he was named one of the Top Young Innovators by MIT’s magazine Technology Review. The magazine names 100 individuals under the age of 35 each year whose work in technology has global impact. 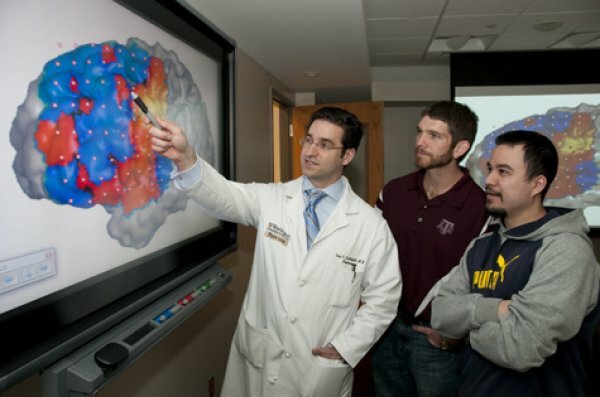 Dr. Leuthardt uses an integrated approach by employing multiple domains of expertise ranging from biomedical engineering, clinical neurosurgery, mathematical modeling, complex signal analysis, and computer programming. In addition to numerous peer reviewed publications, Leuthardt has numerous patents on file with the U.S. Patent and Trademark Office for medical devices and brain computer interface technologies. He received his B.S. in Biology and Theology at St. Louis University in 1995 and received his M.D. at the University of Pennsylvania’s School of Medicine in 1999. 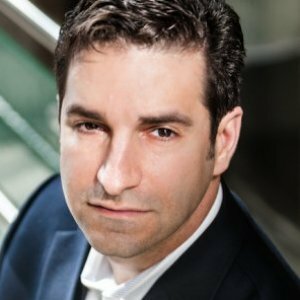 He went on to complete his training at Barnes Jewish Hospital and Washington University in St. Louis in 2005 and went on to pursue a combined fellowship in epilepsy and spinal surgery at the University of Washington in Seattle in 2006. The Center for Innovation in Neuroscience and Technology (CINT) at Washington University School of Medicine in St. Louis is a cross disciplinary group involving leaders from the fields of medicine, engineering, law, and business. It is an effort to engage the changing dynamics of medical research and care in which classic distinctions between these fields will blur and become increasingly important and relevant to one another. Intellectual Ventures is building an active market for invention that brings together expertise and capital, and links buyers with sellers. At Intellectual Ventures, we invest both expertise and capital in the development of inventions. Our goal is to develop a more efficient and dynamic invention economy, establishing an invention capital system. We believe an active market for invention and ideas will energize technological progress, potentially changing the world for the better. Ascension Health is transforming healthcare by providing the highest quality care to all, with special attention to the poor and vulnerable. Ascension Health, which provided $1.2 billion in care of persons who are poor and community benefit last year, is the nation's largest Catholic and nonprofit health system, and the third-largest system (based on revenues) in the United States. Ascension Health has become a leading voice for Catholic healthcare in the United States. 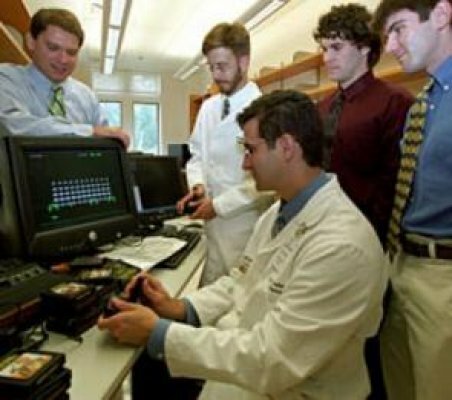 In 2004, Dr. Leuthardt was named one of Technology Review's 35 Top Innovators Under 35. Each year Technology Review honors 35 innovators under 35 who are tackling important problems in transformative ways. Dr. Leuthardt showed that a patient could achieve real-time control of a computer via electrodes placed on the brains surface. 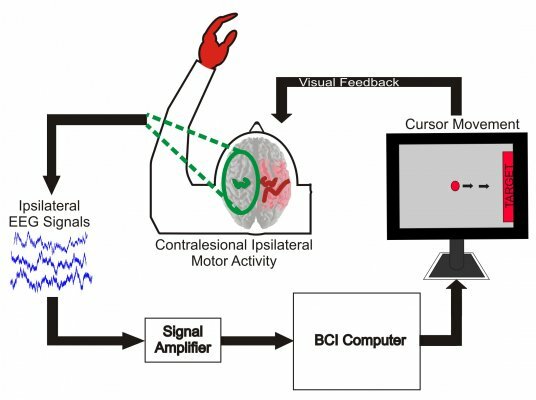 Such an interface could allow paralyzed people to communicate and, eventually, control prostheses. Washington University awards Bear Cub Fund grants to support innovative research that has shown commercial potential. The fund supports innovative translational research not normally backed by federal grants. The funding will help scientists further develop their technology and take it to the proof-of-principal stage. Dr. Leuthardt received funding to support innovative neuroscience projects his team is working on. In 2011, Dr. Leuthardt was featured as one of St. Louis Magazine's top 16 "Innovators" who are changing the world. Dr. Eric. Leuthardt was was selected as "The Scientist" for his research on brain-computer interfaces, which fuse neurology with technology—and for writing science-fiction thrillers in his spare time. 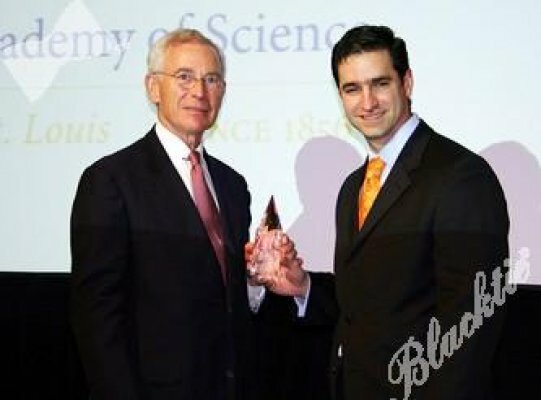 In 2007, Dr. Leuthardt received an Innovation Award at the Academy of Science 13th Annual Outstanding St. Louis Scientists Awards. The Innovation Award recognizes a scientist or engineer under age 40 who has demonstrated exceptional potential for future accomplishments in science, engineering or technology. In 2004, Dr. Leuthardt received the James O’Leary Prize for Outstanding Neuroscience Research. Dr. James L. O'Leary joined the faculty of the Department of Anatomy at Washington University in 1928. In 1948 he joined the faculty of the Department of Neurology, becoming Head of the Department in 1946, remaining until 1971. For many years, neuroscience research at Washington University was conducted by Dr. O'Leary and his colleagues. Dr. Leuthardt will explain how today's Brain Computer Interfaces decode the electrical signals our brains generate, how this technology can be applied to assist those with noncognitive disabilities, and how in the future, this technology may be used to control everything from an artificial arm to your Playstation 3. Dr. Leuthardt will speak on the emerging world of brain computer interfaces -- devices that a human can control with their thoughts alone. Whether it be using one's mind to control anything from a wheel chair to an ipad, these emerging neurotechnologies stand to revolutionize both medicine and the way everyday people interact with machines. He will discuss the state of the art technologies as they exist today and will discuss the emerging breakthroughs and how they will change our future. As one of the most prolific inventors in the world and the Director of the Center for Innovation in Neuroscience and Technology, Dr. Leuthardt will discuss the methods he employs personally and professionally to optimize creativity.